Max Gravier had no intention of becoming a recluse, but after his wife's death it seems his life is heading in that direction. He spends his time running Gravier's Bookshop on Magazine Street and occasionally on the quiet helps the police solve a crime with his psychic sensitivities. That is until he answers Caroline Breslin's call, a cry for help out of his dreams that draws him into a fierce battle for a young woman's soul. In this first installment of The New Orleans Paranormal Mystery series, Caroline Breslin, an amazingly gifted empath, is determined to strike out on her own and has moved out from the protection of her family home. All is going extremely well until, of course, she comes under siege from a devastating supernatural attack. The last thing Caroline wants is to run back to her family for help, even though she is painfully in over her head. What she really needs is a knight in shining armor - or maybe just that guy that keeps haunting her dreams. 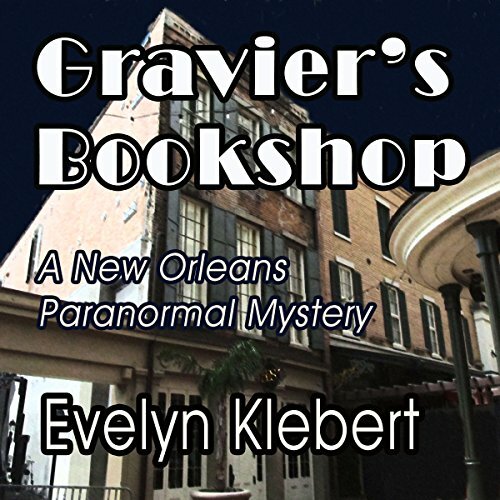 Would you listen to Gravier's Bookshop again? Why? Yes. I enjoyed the story and the production. It felt as if I was inside of the story and part of what was happening. It's manner of ease of enjoyment. I didn't have to struggle to figure out the story or be a part of the events. Most enjoyable. That would have been great, but I did not have time to do so. I needed to break it into several sitting and I was unhappy when I had to end a session. Highly recommend this audio book and really, all by this author.